Some guy has kindly transferred his collection of this series from VHS onto his PC to share, i downloaded out of interest. 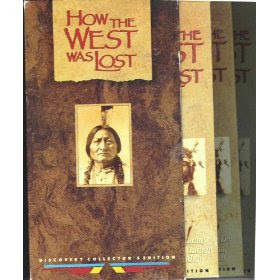 Its about different native Indian tribes and their side of the story of how the lost their homeland to the Americans. The sound is slightly out of sync on the first one but not unwatchable. This isn't a feel good series as you might expect but interesting to watch (and sad too).